United Academics stands with our staff colleagues in support of their right to Organize! 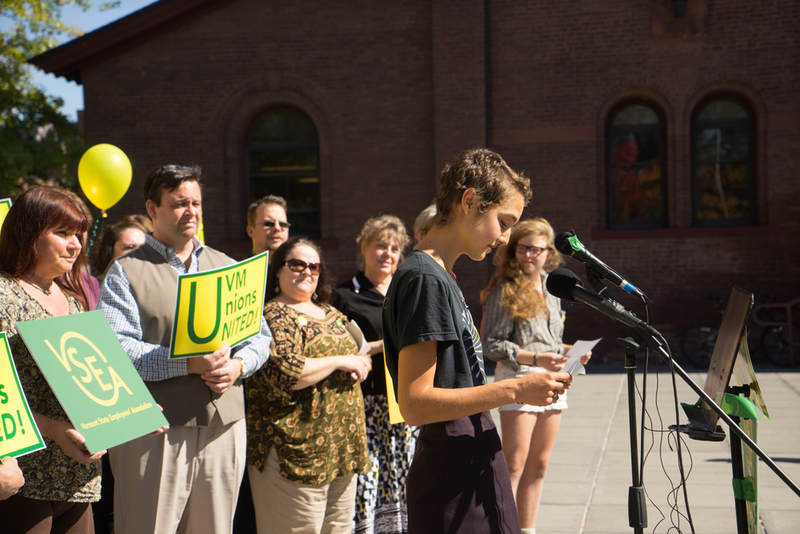 UA Vice-President John Forbes spoke in support of the VSEA petition to the Vermont Labor Board. United Academics’ full-time faculty, along with the United Electrical Workers, are currently in their own fights for a fair contract. Next year, U.A.’s part-time faculty and the nurses will begin their negotiations for their own fair contracts.